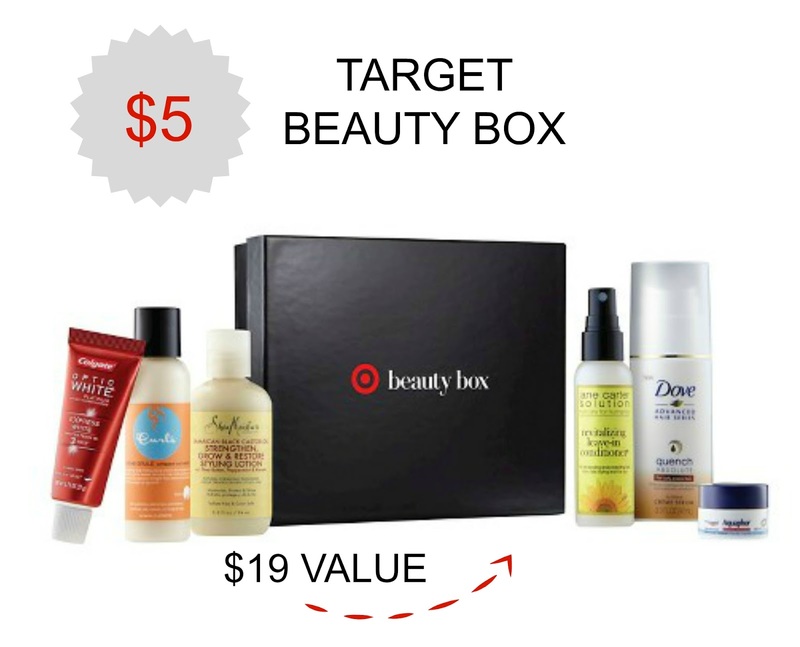 Tracy's Notebook of Style: Target $5 Beauty Box is Here!! You know the drill by now, Target announced their latest beauty box and it's a mad dash to order one before they sell out! This is a one-time purchase for $5 ($19 value) and includes free shipping, plus 5% off if you pay with your Target REDcard. Order yours now! A Lightweight spray that offers a protective barrier against damage for fragile, color-treated or relaxed hair. Whipped curl cream styler that defines, de-frizzes, and moisturizes your tresses, leaving curls soft without hold. Dove Quench Absolute Crème Serum Full Size! Tame frizz and keep curls defined with this lightweight, fast-absorbing serum. Restore moisture and shine to color-treated or chemically processed hair with this oil-based lotion. This multipurpose ointment helps soothe and protect dry, chapped or irritated skin. A breakthrough formula that whitens teeth in just 3 days, with best results after 4 weeks. Looks like an incredible box, especially for $5! I love that they have some more unique lines, too. I'm always amazed with everything you get for the price of a latte! I can't believe all of that is only $5!!! Seems like a great bunch of products, and I love that you can try them out for cheap. I'm a birchbox subscriber, so I'm all set with sample sizes for now, but I would definitely get one if I wasn't subscribed! These boxes are perfect to try out new items, just like your Birchbox, can't really beat $5 though for all of this! Thanks for the heads up! If you still haven't - come join the huge GIVEAWAY I am hosting for the THE KEWL SHOP till Sept. 12 where a $150 dress value is at stake! Friday Favorites under $30 + Weekend Sales! Target's NEW Clothing line Now in stores! Mid-Week Sales Not To Miss! Your Guide to Labor Day Sales and Savings!